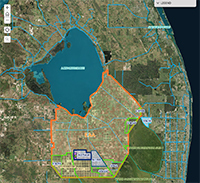 If page not showing correctly, click "COMPATIBILITY VIEW" on your (Explorer) browser "TOOLS"
of contaminated fresh water releases down the St. Lucie and Caloosahatchee rivers. Inundated estuaries and toxic algal blooms turn away tourists, harm local businesses and residents. High-Phosphorus mainly agricultural run-off is out of control contaminating Lake Okeechobee. What could be done to clean-up the watershed ? The Lake is heavily polluted. Its waters cannot feed the Everglades and are diverted into St. Lucie and Caloosahatchee Rivers. The lake clean-up is a major multi-billion $$ challenge. Originally grandiose deal has been scaled down. The land intended mainly for water treatment. What needs to be done next ? There is a push for extension and new mine sites - close to the Everglades. Surface water and aquifer contamination likely. In accordance with the Clean Water Act, a court decision forces the EPA to set and enforce (neglected ?) water quality criteria in Florida. WHAT IS ALL THE EVERGLADES FUSS ABOUT ? For some 120 years, increasing population of Florida has painstaikingly been changing its landscape and lifestyle. An extensive canal system, draining, daming and pumping were all meant to move its plentyful water away from the land that was demanded for agriculture and development. Extensive Florida Everglades was largely drained and most of the Florida peninsula became the world's largest most plumbed natural system. Only to discover that it was ALL WRONG ! We know that most of iIt has to now be undone and Florida Everglades restored as much as possible. Why ? Florida is flat, known for its seasonal rain extremes and sitting on porous sponge-like karst that contains aquiferous layers of moving underground fresh water supporting agriculture and population growth. Now that fresh water is running out with looming shortages threating some 8 million of South Florida population. That combines with rising seas pushing underground salt water into receding aquifers. A real and imminent threat ! All hands on deck, we need to restore Florida Everglades to resupply fresh-water aquifers and to clean and re-direct surface waters that threaten both peninsula ecology and people's safety through pollution and flooding. Read around this web-site about what is being done and what it all takes. Multifaceted efforts and billions of dollars. If a POP-UP appears, click IT (anywhere) for removing it before you can see another one. 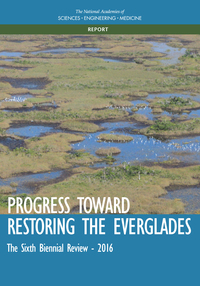 The Gulf oil disaster does not directly concern the Everglades - let's keep focused. 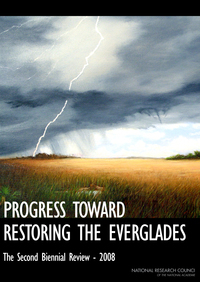 Many more VIDEOS on different aspects of the Everglades - their challenges and ISSUES - are posted in a special section of this web-site. Click HERE to get to the video section and spend as much time watching as you care and can afford - it is definitely worth it ! Kissimmee River - Restoration project: The US Army Corps of Engineers recently backfilled draining canal and restored meandering old river flow. Marshes now filter the water feeding into Lake Okeecho- bee and provide wildlife habitat. Tamiami Trail - has a section that blocks water to the Everglades (NP). After protracted debates, a bridge project has been initiated (Dec,4, 2009) to lift the road and let water through to feed the Everglades. The Everglades - a National Geographic video showing the beauty and unique nature of the River of Grass. Over the last century, the Everglades wetland was drained to less than 1/2 of its original size. Agricultural Pollution - a clip from the PBS series: It is mainly the surplus nitrogen and phosphorus threat from fertlizers that is oozing from the fields into the surface and even underground waters. The Everglades Foundation's video is wonderfully narrated by Harrison Ford. 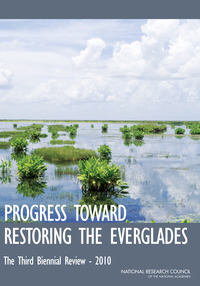 It shows the majestic Everglades and, as typical for many NGOs, the thrust toward restoring this unique ecosystem essential for the environment and people alike. What are our top 10 environmental problems ? Despite a $10 billion rescue plan, the Everglades are a disaster waiting to happen. “If we Southerners knew as much about how our forbearers altered rivers and wetlands as we do about the Civil War, we'd have great appreciation for the natural waters that are left", the "Water Author" Cynthia Barnett told the audience at CF. She said much of the problem is that governments and utilities reroute and dam water to create the illusion that there's water to spare, when in fact springs are disappearing and groundwater tables are shrinking. "Don't Expect Protection", Floridians who want clean rivers, lakes, streams and estuaries must depend on the federal courts. understandable brief descrition of key legal cases. 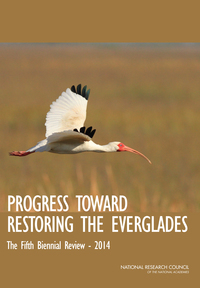 ECONOMICS of P-removal for Everglades »Read more - -	 WHO pollutes ? WHO pays ? "Conducting the cost analysis with increased attention to careful assessment of rule differences, stakeholder engagement, and uncertainty analysis, might not have been possible within the EPA's budget and time constraints. Any critique of the existing EPA cost analysis should consider this." The Everglades-HUB is a service provided by Prof. B. Volesky which is intended as an information hub for the worldwide science community and public at large. Information concerning Florida Everglades is widely scattered and this web-site concentrates and streamlines the most important aspects of it. 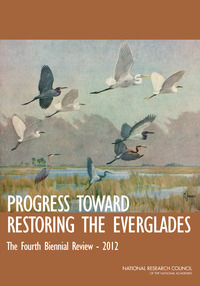 Access to information on the pages of The EvergladesHUB is free, and if you have information which you think would be of interest please contact http://www.evergladeshub.com/cont.htm. OPINION POLLS Definitely participate ! See our polls on some Everglades issues - themes as seen here below. Click to express your opinion. Your computer IP is used to prevent repeated entries. Reservoir A1 - waste of $$ or important. 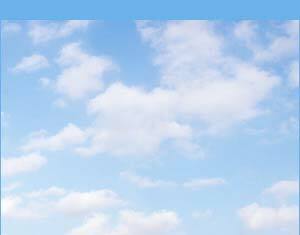 Climate change is a controversial topic. Indicate where do YOU stand ? SER Southeastern Chapter Ann. Mtg.